Change. It’s the one constant in luxury real estate. Marketing has shifted from a local to global focus. More affluent consumers are relying on technology and social media to make purchase decisions. And luxury buyers’ home preferences are not the same as they were 10 years ago. 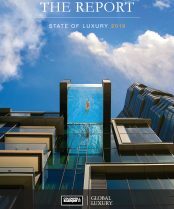 As a global leader in luxury, Coldwell Banker Previews International® closely monitors these changes and seeks to put them in context via its latest Luxury Market Report. 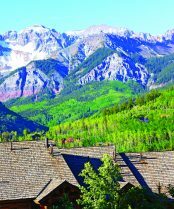 Previews Top 20: ZIP Codes and Cities for Luxury Sales and Listings – This year, change arrived in the form of more robust sales for homes in the $1 million+ category. Silicon Valley continues to be a hotbed of luxury with newcomer cities likeSan Jose and Burlingame shattering sales records in several price points. Boston also trended up at the $1 million+ sold level and made an appearance for the first time in the $5 million+ sold range; while Las Vegas showed signs of recovery by ranking among the top 20 cities for $1 million+ active listings for the first time. Domestic Spotlights – One market that has been on fire lately is Atlanta (hence the nickname, “Hotlanta”). The Domestic Spotlight covers the city’s real estate recovery following the recession, and tracks which neighborhoods are seeing the most growth. For those who naturally expect to see New York in the report, you won’t be disappointed. Feverish luxury housing demand continues to send prices upward in the Big Apple. It’s a seller’s market—but buyers still have some negotiating power if they know where to look. International Spotlight: Dubai – A sharp upswing in housing in the “City of Gold” is being fueled by international tourism, high-end development and luxury retail growth—like the upcoming Mall of the World and Akoya Drive. Dubai is one hot market, indeed. Want more analysis on these changes? 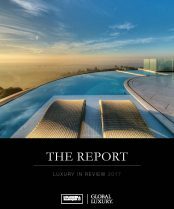 Simply download the full edition of the Luxury Market Report.